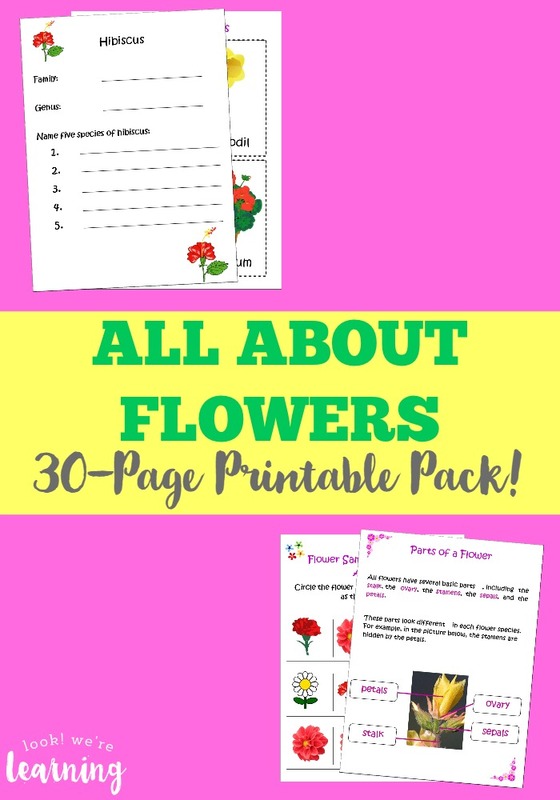 Flower Printables for Kids - Look! We're Learning! 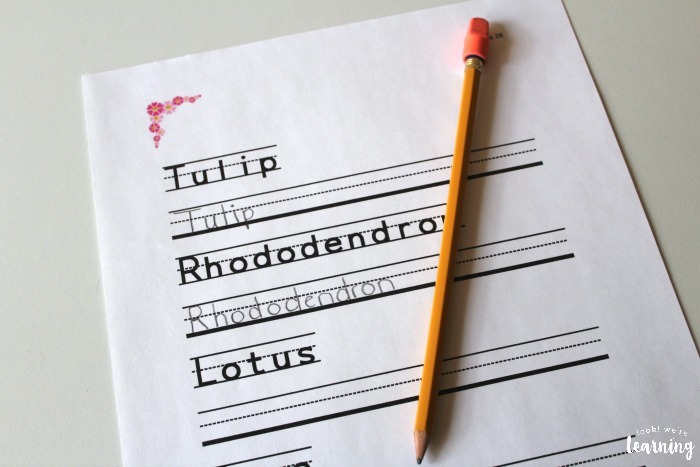 Happy Spring everyone! We had a colder than usual winter here in the South, so we’ve been anxiously awaiting the arrival of Spring this year. Now that it’s finally here, we’re catching a little spring fever. 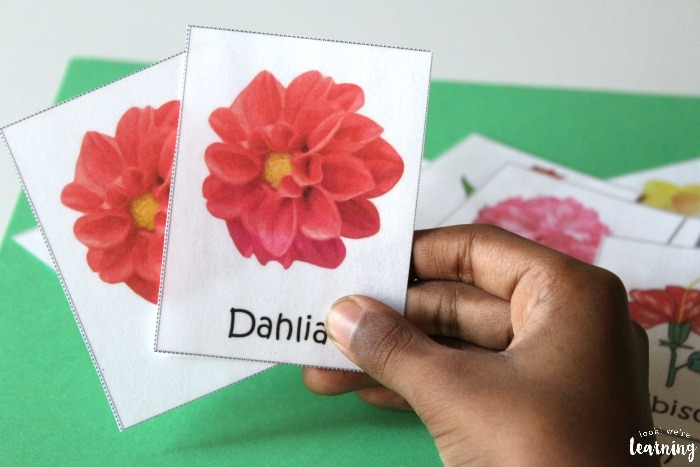 And what better way to jump into spring than by learning about flowers? 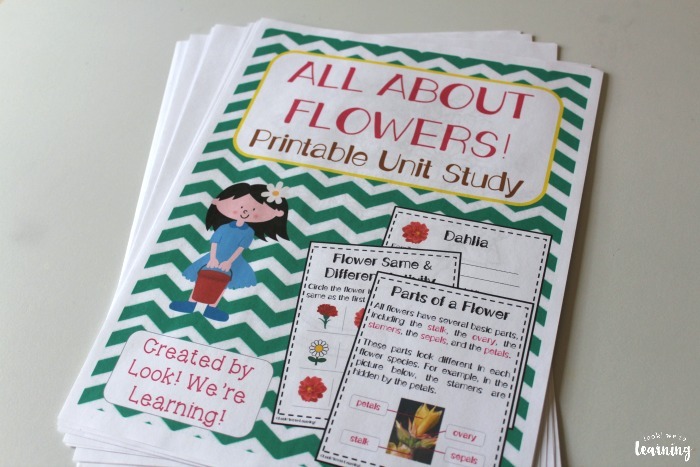 Today we’re sharing a flowers printable unit study called “All About Flowers” featuring flower printables for kids that we’ve created for our readers! 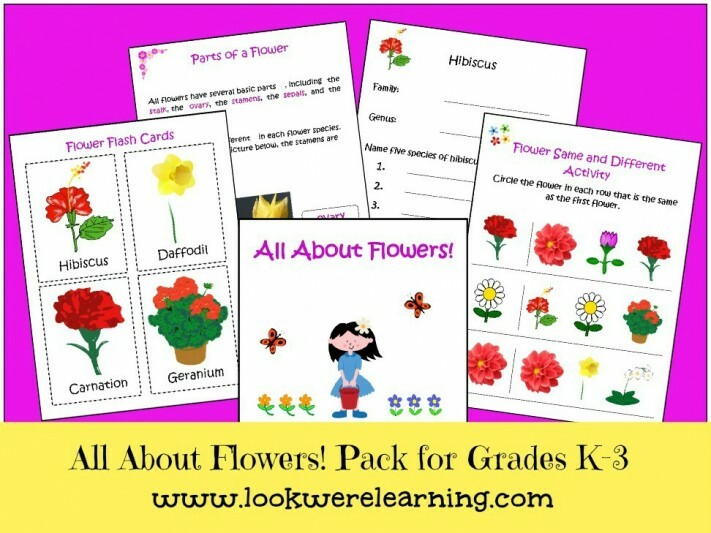 In the pack, you’ll find printables and activities for grades K through 3. Read on to see how to get your copy! 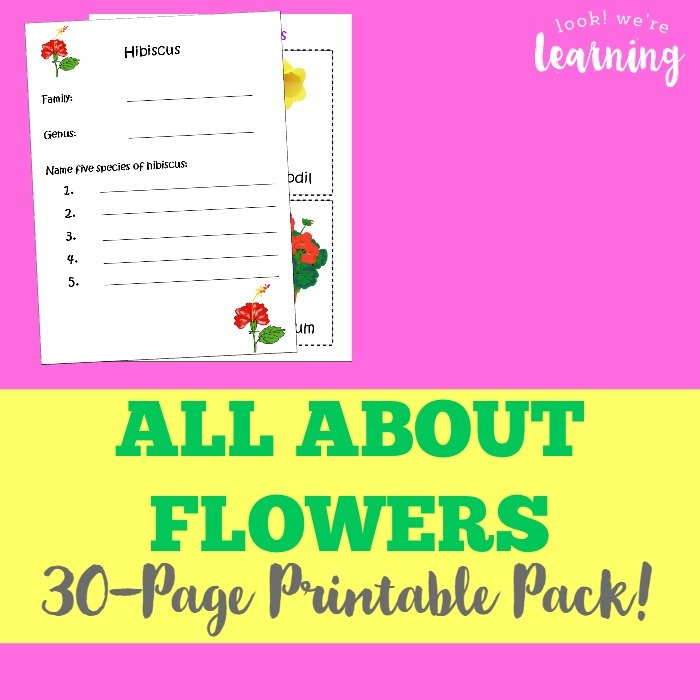 And if you love these, check out our other spring worksheets for kids, including math, language, and fine motor skills printables! 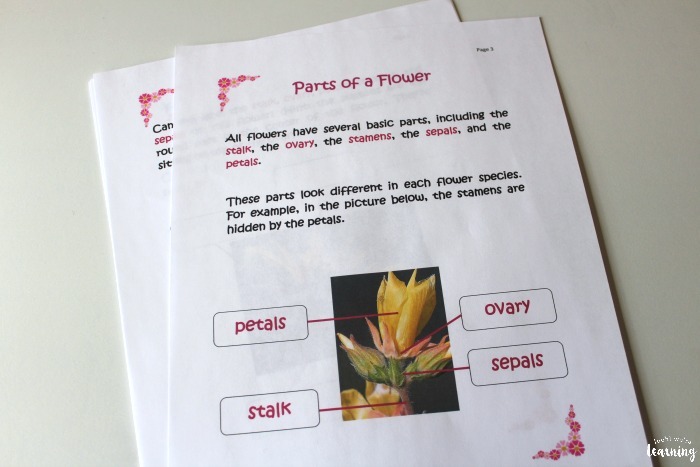 A lesson about the parts of a flower, complete with a picture diagram! 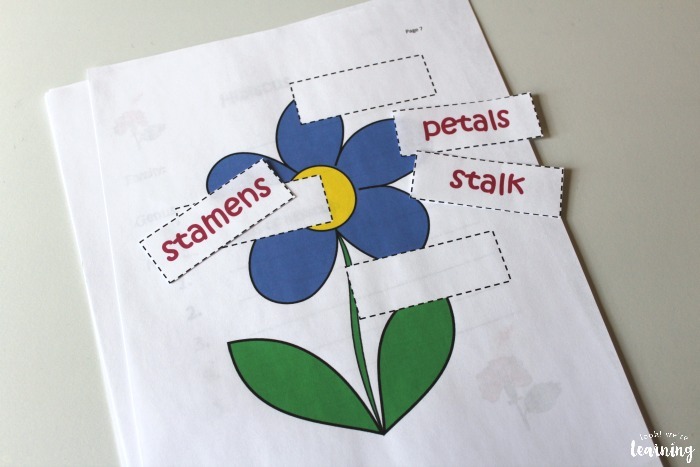 Plus, a cut and paste version for younger learners! 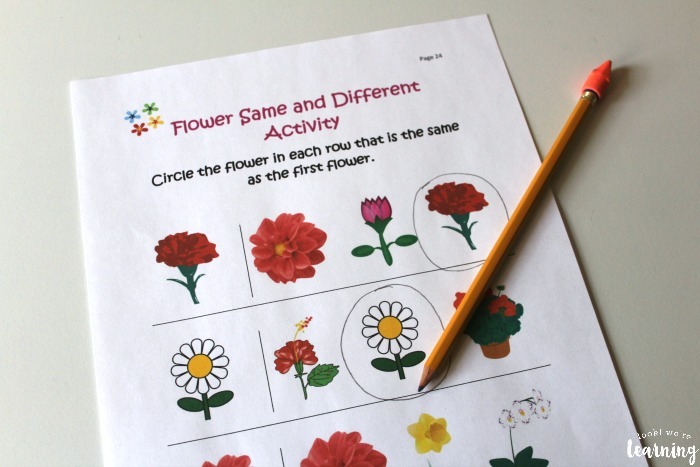 A fun flower same and different activity is included for preschoolers! 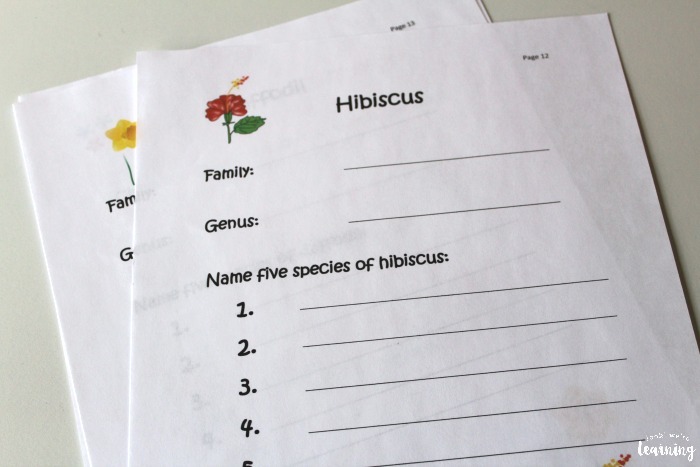 There are copywork sheets to help kids practice writing the names of the flowers they learn. 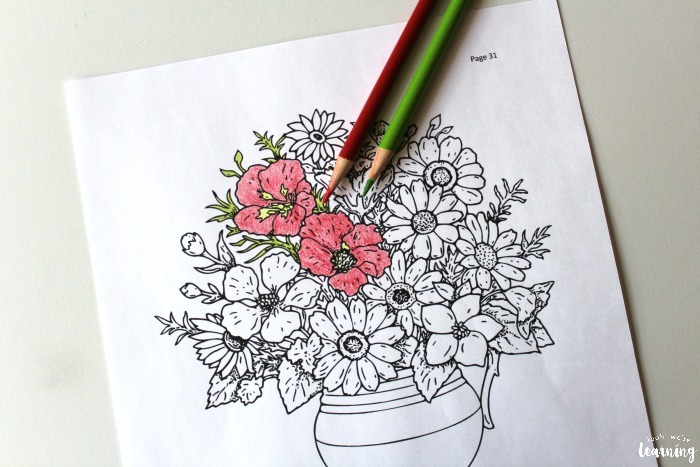 Get a little art with some flower coloring pages! 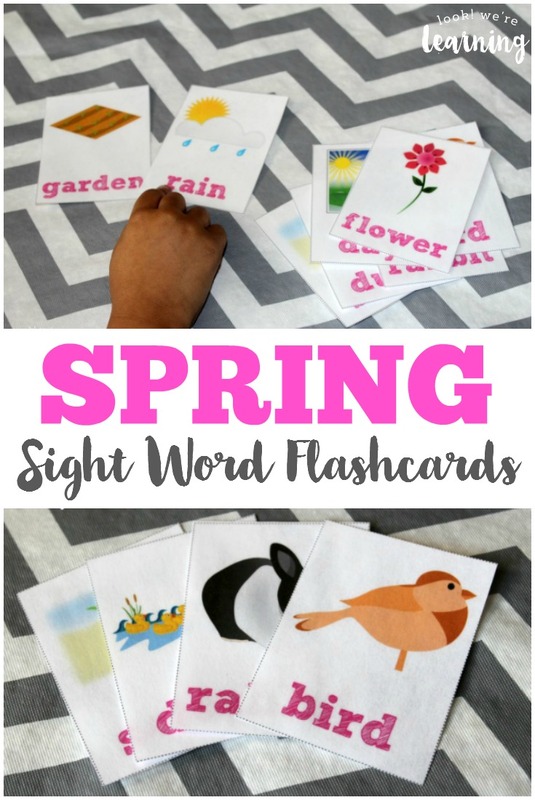 And our spring flower flashcards are included too! 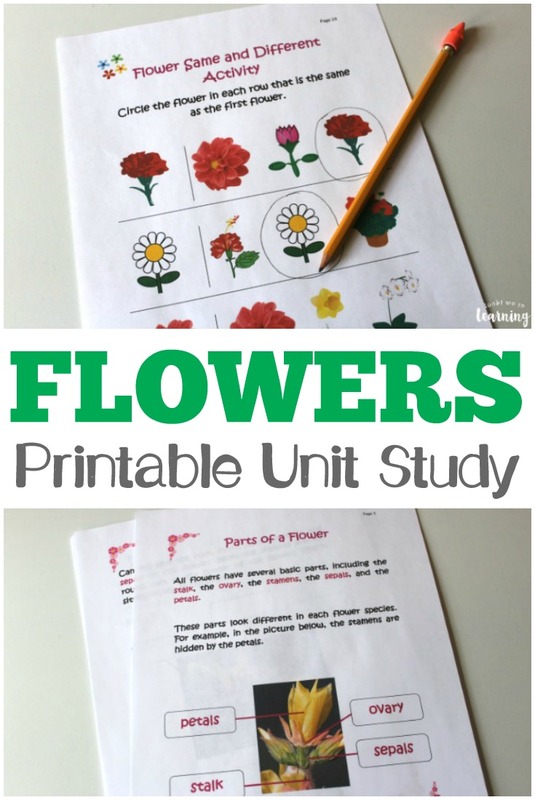 Scroll down to get your copy of these flower printables for kids! 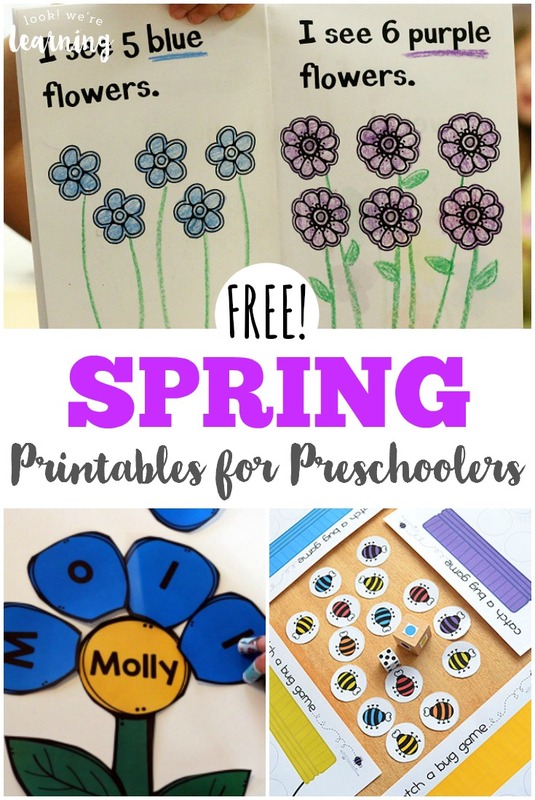 Don’t miss these other spring printables! 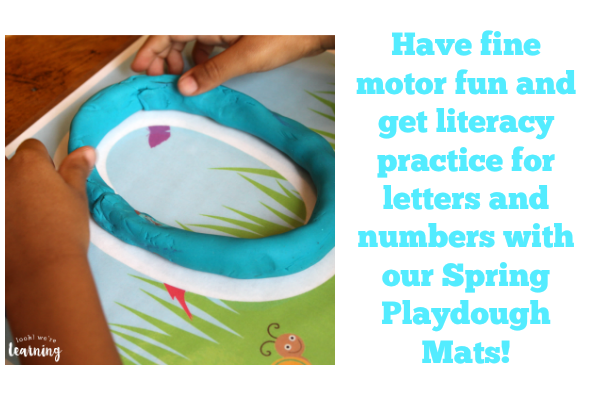 Plus, get more fun spring ideas on my Spring Activities for Kids Pinterest board! 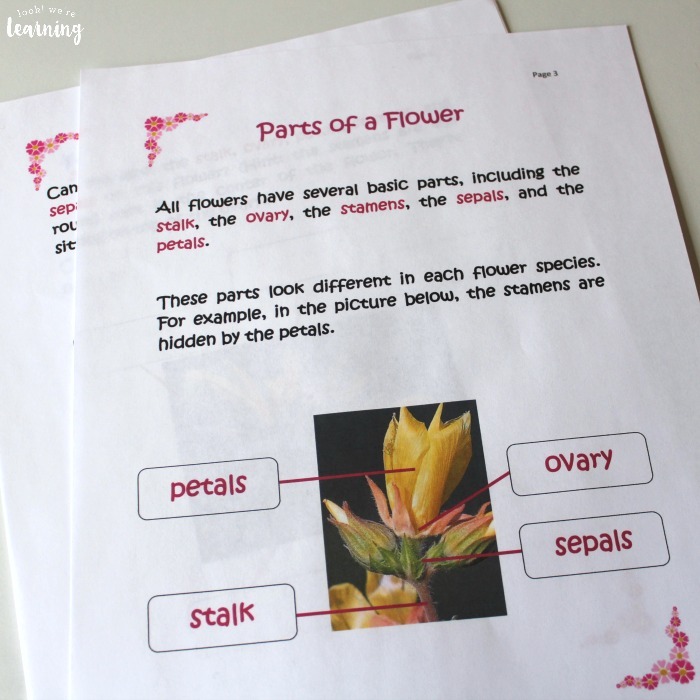 Want to get exclusive learning printables in your inbox? 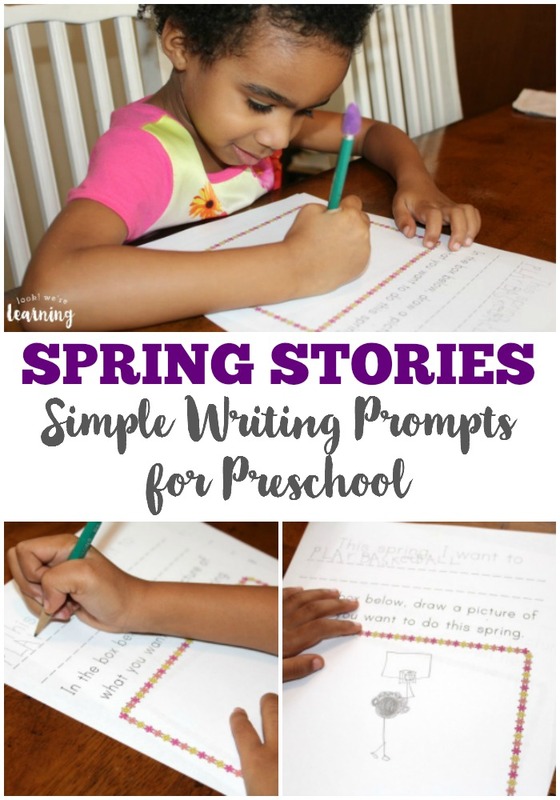 Sign up for our email newsletter! 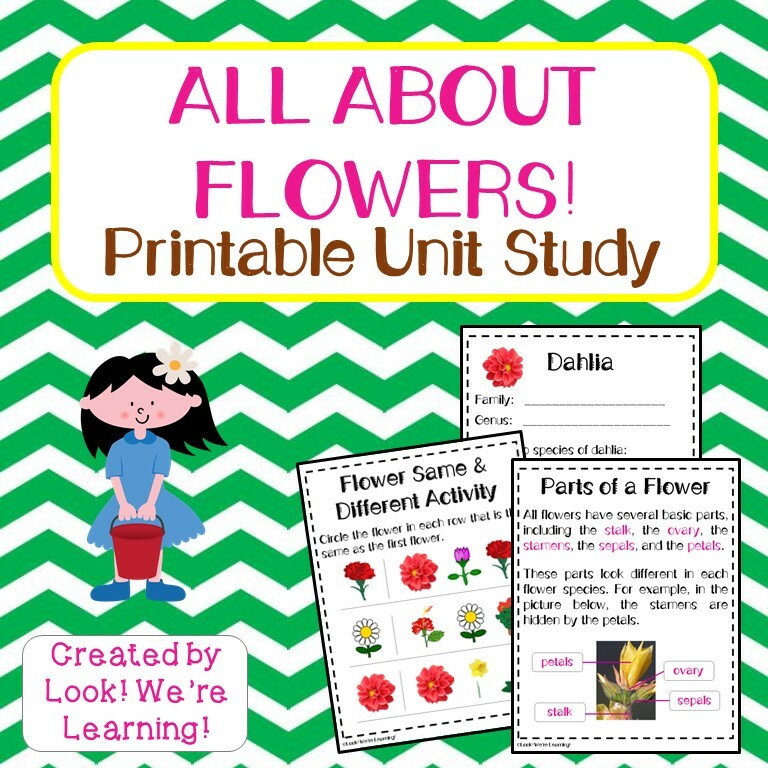 To get your copy of All About Flowers Printable Unit Study – our flower printables for kids, click the image or the link below to visit our Store! I’m all signed up! Looks great, thanks! Is this still available? I have recently signed up with your newsletter, but I live on the other side of the world and we have only just started our spring. Hi Susan! I’ll be adding it to our shop soon. I intended to make it available as a product in the spring here in the U.S., but I forgot about my Southern Hemisphere friends!